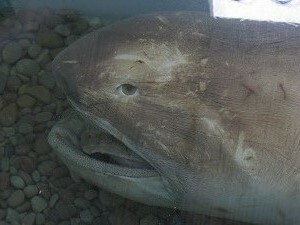 Megachasma pelagios, or as it is more commonly known, the megamouth shark, is one of the least understood sharks in the world today. 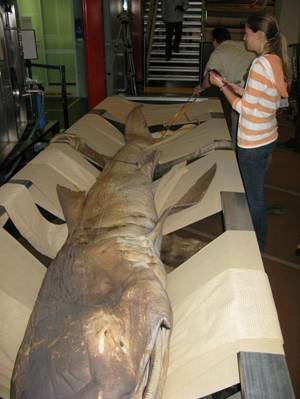 It is an extremely rare species of shark classified as the sole member of the family Megachasmidae. Since its discovery in 1976, only a small number megamouth sharks have been observed worldwide, with only a total of 50 specimens known to have been caught or sighted as of 2010. 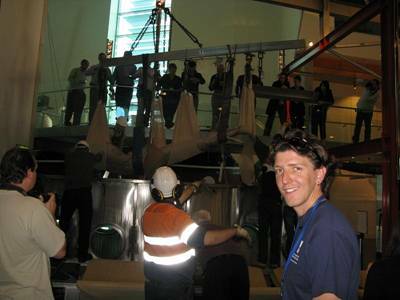 Support Our Sharks founder, Dr. Ryan Kempster, was given unprecedented access to one of the oldest known specimens of the megamouth shark. 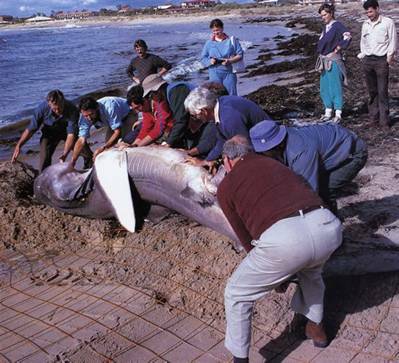 The specimen in question stranded in Mandurah, Western Australia in 1988, and is commonly referred to as megamouth 3, as it was the third specimen to be recorded worldwide. 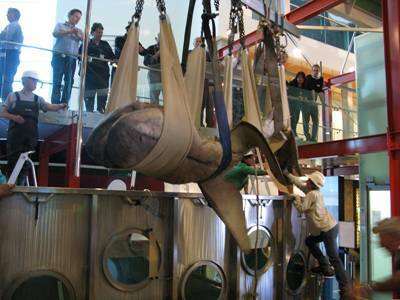 Access to the shark was given during its move from the Museum of Western Australia to its new place of residence at the Western Australian Maritime Museum. 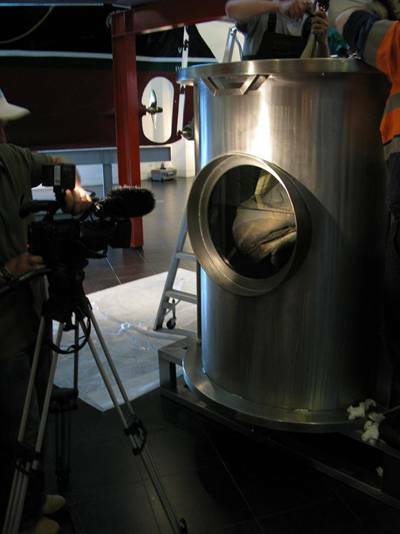 The specimen had been fixed in 70% ethanol for 22 years and, although it was apparent that some degree of tissue shrinkage had occurred, the specimen was in extremely good condition. The purpose of Dr. Kempster’s involvement in the move was to create a map of the ampullary pores that make up the electrosensory system, to learn more about how the megamouth may be using electroreception to detect planktonic prey. Electroreception is an ancient sense that has evolved independently across the animal kingdom in multiple groups including lampreys, chimaeras, sharks, skates/rays, bony fishes, and even some amphibians and mammals. 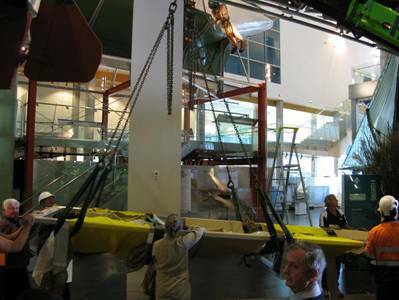 The multiple and independent evolution of electroreception emphasises the importance of this sense in a variety of aquatic environments. The electrosensory system of sharks is comprised of a series of electroreceptors, known as the ampullae of Lorenzini, distributed over almost the entire surface of the head. It is thought that the major role of the electroreceptors is in the detection of prey, with other functions, including the detection of predators, facilitating social behaviours and orientation to the earth’s magnetic field for navigation. To learn more about electroreception CLICK HERE. Unlike other anktivorous sharks (the basking shark and whale shark), the megamouth is thought to adopt a unique method of filter feeding. Instead of swimming continuously with its enormous mouth wide open, filtering water for plankton and jellyfish, it is thought to attract prey with a bioluminescent strip along its upper jaw and then engulf prey in a single motion, similar to the feeding mechanism of a whale. 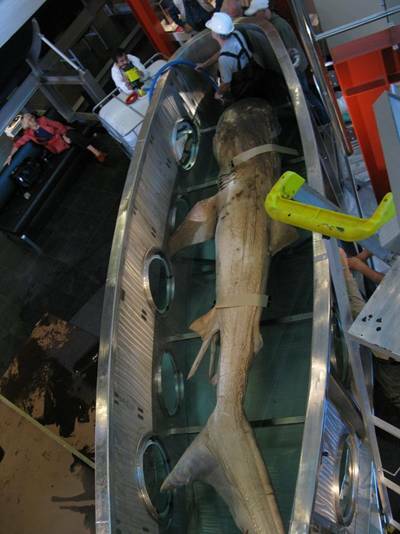 This is thought to be due to the restricted internal gill openings and jaw morphology of the megamouth shark. It is thought that swimming with its mouth open would push water and prey aside, as the water will not be able to pass at any great rate between the densely packed papillose gill rakers and through the relatively small internal gill rakers. When Nelson et al. (1997) tracked the movements of a megamouth off the coast of California they found that the shark performed very clear sudden vertical migrations with the onset of sunrise and sunset. 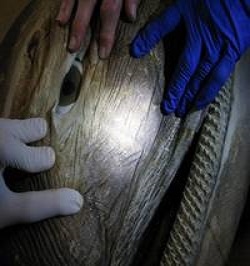 The crepuscular depth change profiles of the megamouth were shown to maintain a consistent level of illumination, with the shark staying shallow at night (12–25 m depth) and deep during the day (120–166 m depth) but still well above the sea bed at 700–850 m. It was thought that the shark may be following aggregations of small shrimp. To this date little is known about the specific feeding behaviour of the megamouth shark and how it actually locates food, so by investigating the role of electroreception, we can start to learn more about how this amazing animal survives in our oceans. 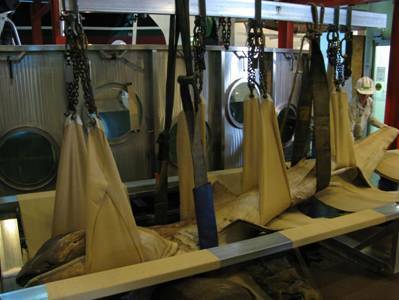 For more information on the feeding behaviour of the megamouth shark CLICK HERE.